English: Flesh fly, from the Sarcophagidae family. The diet of the flesh fly is very high in water content. 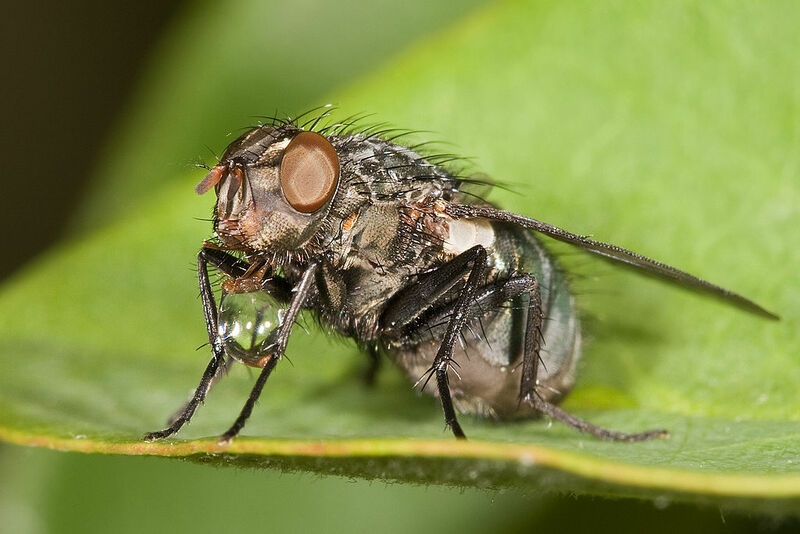 The fly regurgitates the liquid portion of the food, holds it whilst evaporation reduces the water content, and then swallows a much more concentrated food meal without the water content. This continues until sufficient amount of liquid is left for the fly. Taken near Swifts Creek.